DeSantis Gunhide introduces the Apache Ankle Rig for the Sig P290. 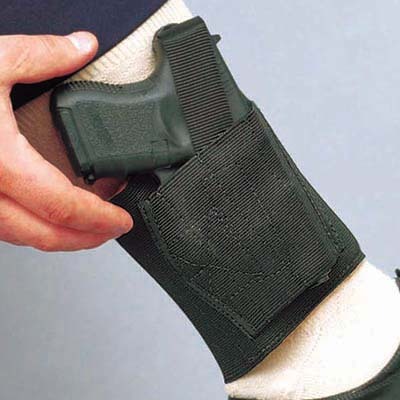 The Apache's wide, elasticized leg band largely eliminates the rocking motion commonly associated with ankle holsters. This model features an adjustable thumb strap (without snap, hook-and-loop closure) and is available in black. The #062 is constructed with elastic and has a sheepskin lining. An optional C14 support strap is available separately. MSRP: from $50.50. 800/424-1236, www.desantisholster.com.